Strong winds in the alpine today combined today with beaming sun and cold temperatures. 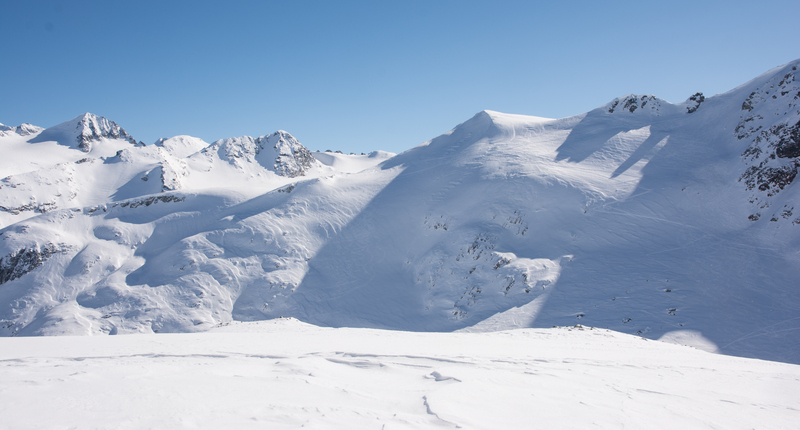 Ski conditions in the Blackcomb backcountry have been severely affected in the alpine by previous NE winds and this lasting drought. 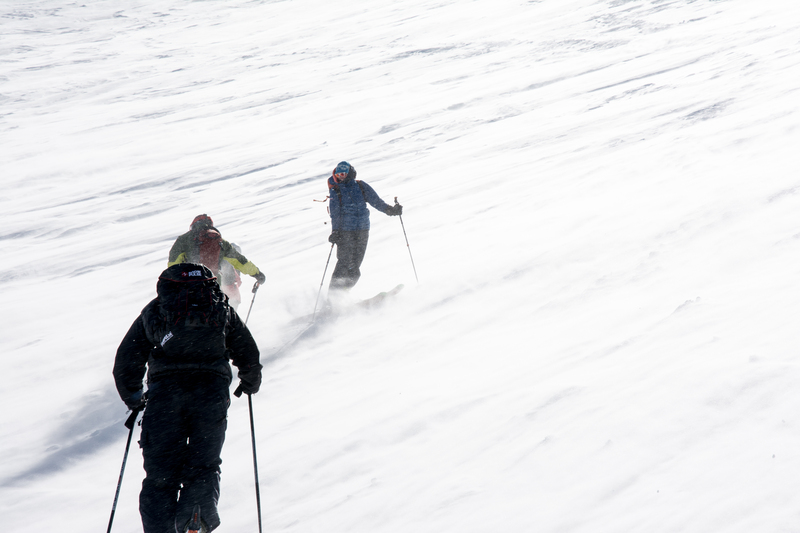 Some good skiing was found in limited low angle areas where untracked. Suncrust exists on steep solar. Lots of variable surfaces, large sastrugi and limited powder. The recommendation is to look for sheltered low angle terrain or sticking to treeline and below in areas not affected by the sun. Lots of tracks visible everywhere with few unskied areas Oboe-Flute. Evidence of avalanches from the reverse loading exist in the basin south of Bodybag bowl near Decker. One older avalanche size 1.5 from steep sparsely small treed slope and one size 1.5 from a similar feature down the ridge (maybe past 24hrs?). 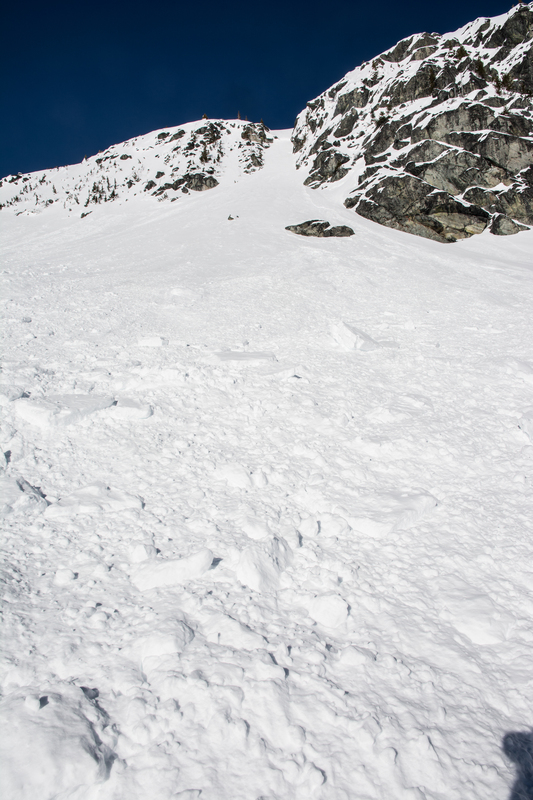 Otherwise very little avalanche hazard seems to exist. Of note, glacier sags seem more evident than in the past with the prolonged cold temps.